Every day pilots use surface observations to make many routine operational decisions before or during any particular flight. For example, as you approach an airport you have been trained to listen to the ground-to-air radio broadcast to determine the preferred landing runway based on the current wind direction. 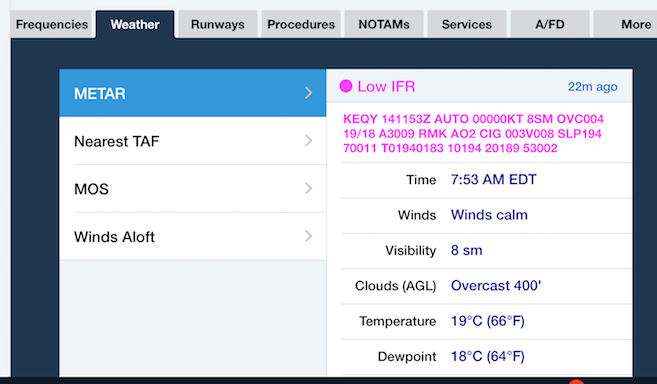 Or even before you are in radio coverage you may have been following the latest FIS-B METAR broadcast received by your Stratus and displayed in the ForeFlight Mobile app. Many of these observations come from automated systems. So it is critical that pilots at all experience levels understand how these systems collect and process the weather data especially those automated ceiling reports. Listen to the ground-to-air radio broadcast when approaching an airport. The two primary automated observing systems deployed at many airports throughout the United States includes the Automated Surface Observing System (ASOS) and the Automated Weather Observation System (AWOS). These automated systems like the one shown here consist of a collection of electronic sensors that measure the environment, and then process the data to create an observation once every minute. Even though these automated systems create a completely new observation every minute, they must have adequate sensor samples to develop an accurate observation. In order to provide a representative observation at an airport, the automated hardware must continuously collect the sensor’s real-time data over a period of time. The automated system applies an algorithm to the collected data to extrapolate the weather to cover a wider area. Get the latest observation from ForeFlight Mobile before departing. This is especially important when considering the observation for sky cover and cloud base height. 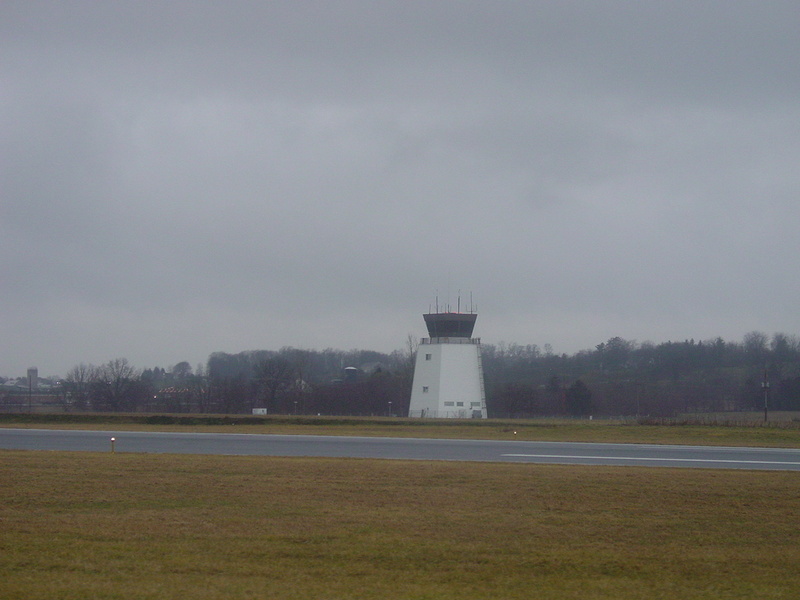 When approaching an airport, for example, pilots don’t necessarily want to know what’s happening instantly over the sensor since it may not always be representative of the sky condition throughout the airport’s terminal area. Most importantly, it might vary quite a bit between reports. 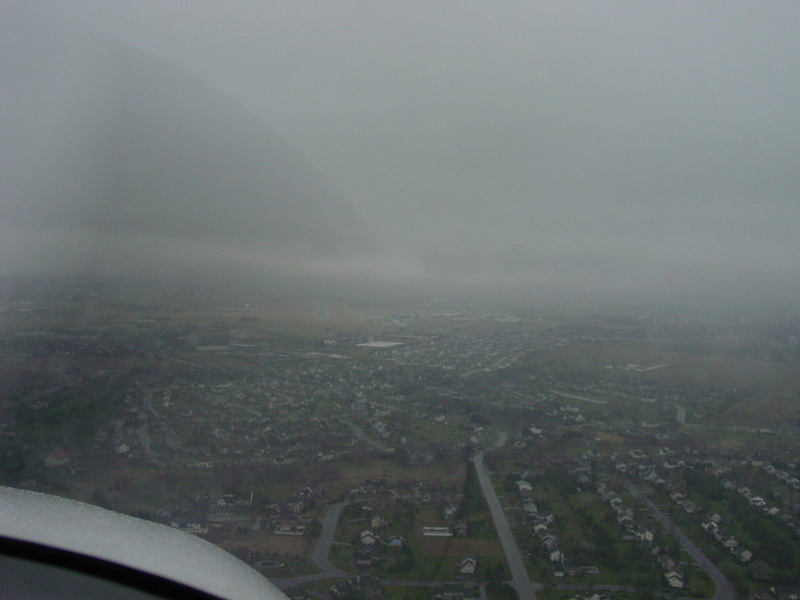 Automated systems employ an upward-pointing laser beam ceilometer to determine sky cover and cloud height such as the sensor shown here. The cloud height indicator, for instance, transmits a little over 9,000 pulses in 12 seconds, but it’s not these individual samples that are used for the observation. Instead, this data is collected over a period of 30 minutes before a ceiling or sky cover observation is considered acceptable and broadcast to the pilot. So the ceiling report your see on ForeFlight or the one you hear from the ground-to-air radio broadcast is based on a sampling of 30 minutes of data and not the most recent sensor sample taken. Automated report in the Airports View in ForeFlight Mobile. Based on studies, 30 minutes of data provides a fairly reasonable description of sky conditions. This means that the system will detect and process all the clouds (if any) passing over the sensor in the past 30 minutes. To account for the latest sky conditions, the result is biased by counting the last 10 minutes of data twice, a technique referred to as double weighting. Using the last 30 minutes of data in this way will allow the system to determine the height and sky cover included in the surface observation and this becomes a reasonable estimate of the sky conditions that is valid over a three to five statute mile radius around the airport. Keep in mind that these automated systems have a few important limitations. For instance, automated systems can only report clouds that are below 12,000 feet AGL. This means that an overcast cloud deck at 15,000 feet AGL will be reported as clear. Effectively, a clear sky report from an automated station means the sky is free of clouds below 12,000 feet AGL even though it still may be an overcast day. Towered airport with a trained observer present. While many high-impact airports throughout the U.S. still rely on a trained weather observer to construct the routine or special observation (SPECI), automated systems supply them with uniform and objective data for the observation. However, automated systems measure only the weather that passes directly through the sensor array so it is not able to report what’s happening outside the airport’s runway complex. Trained weather observers can certainly augment the observation to add these details such as clouds with bases above 12,000 AGL. By the way, the NWS is looking to extend the capabilities of the ceilometer to automatically report clouds above 12,000 feet, but don’t hold your breath; it may take several years before such a solution becomes available. This entry was posted in Weather and tagged aviation weather, foreflight, iPad, Weather by Scott Dennstaedt. Bookmark the permalink.